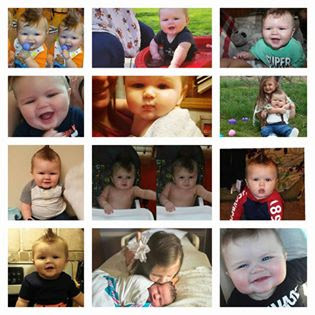 Photos submitted and written by Kimberly Reider, Jackson's Mom. It has been a few months since really being active on here. Most of you probably remember me and my son from his nonstop hospitalizations from chronic reoccurring respiratory infections/viruses. Photos and videos of wheezing, gagging, coughing, blue spells and stridor; as I was trying to figure out what this airway defect actually has on us and how to beat it. All in all NO DOCTOR had any concern. Though while laying completely flat his oxygen would drastically drop and he would start gasping for air. So his father and I took it upon ourselves with the support of his insurance to self refer to an ENT. 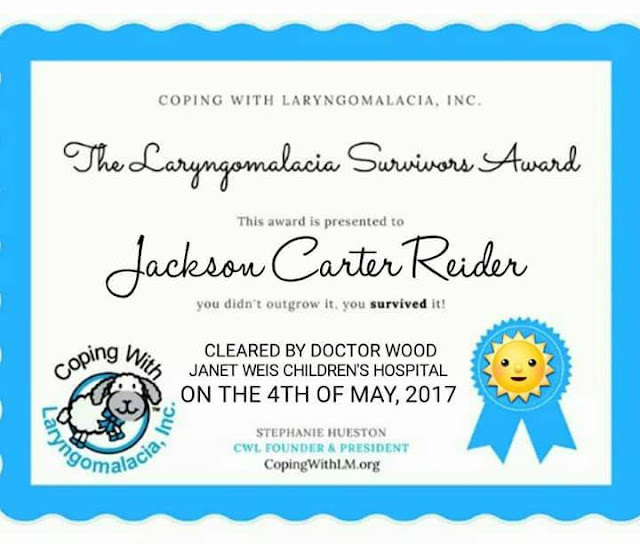 Jackson, suffering from laryngomalacia and GERD. Dr. Seth Linker, Tunkhannok Pennsylvania. ENT, he was a God send. Our first breath of fresh air. Someone who didn't even listen to me but INFORMED me. He suspected laryngomalacia right away. Did his in office scope and sure enough he had his proof. He instantly was prescribed medication for reflux as you all know reflux comes hand in hand. He chalked up the congestion mostly to reflux. His congestion was so loud it drown out the sound of stridor. (His squeak) he prescribed him an home apnea monitor as we both suspected sleep and feeding apnea. The first night we realize how bad his apnea was. And within a few days on zantac the congestion went away. Jackson seemed normal from that point on, except for one BIG problem. At 130 days old he had spent 78 of them sick. He was constantly in isolation in the Pediatric ICU. Constantly on antibiotics until we hit a point where we began to refuse, they didn't work anyway. At three months old, in PICU I pumped the last of my milk. Due to stress and non stop living in the hospital, apart from my other child took its toll and my supply vanished. That's when trouble really hit. 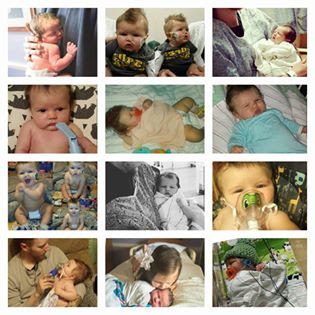 He went from being sick all the time to screaming in pain, arching showing the worst of the worst reflux symptoms. We tried EVERYTHING. Every single H2 blocker and PPI. We did combinations and piggy backed them nothing worked. 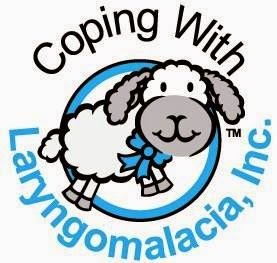 Of course, reflux flares cause laryngomalacia to be much worse. Now we were in PICU for ALTES (apparent life threatening event syndrome). If it weren't for his apnea monitor I would have lost my son in one particular night after an ALTES, I couldn't wake him. It was a fight to get him barley breathing until making it the local hospital where he was then transported back to the Children's Hospital a few hours away. After doing a 24 hour ph probe study we learned just how severe his reflux is. Right away his doctors all wanted to do the Fundoplication surgery we of course, were not jumping towards that idea. We decided to try to only medication we hadn't tried yet. Nexium. Again it wasn't working and I was getting desperate to help him. I was referred to an amazing reflux group here, where I learned so much about severe infant reflux. I learned more about reflux than my sons doctor's know. We significantly upped his PPI dose to PROPER dosing to severe reflux AND got into an amazing doctor (GI) five hours away from us. We learned basically of his problems were fed by the reflux & once we controlled it, life for us changed. His airway is healing from acidic damage, he recently outgrew laryngomalacia which is what his ENT said would happen once we controlled his acid. He hasn't had any ALTES AND NO APNEA. He has had his first cold that didn't require hospital stays, we were able to handle it at home. So my time here is done. I plan to stay to help others, it does get better!